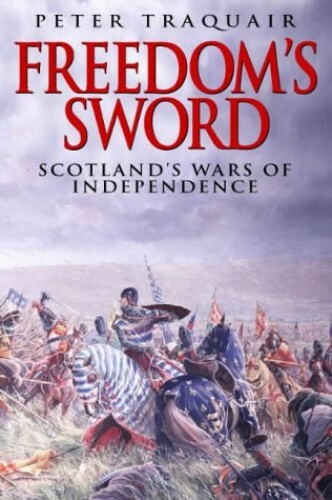 A popular history of the longest period of conflict between Scotland and England. It covers the story of William Wallace and his rebellion (subject of the Mel Gibson movie "Braveheart"), and goes on to explore the career of Robert the Bruce, arguably Scotland's most capable military leader ever. A popular history of the longest period of conflict between Scotland and England. It covers the story of William Wallace and his rebellion (subject of the Mel Gibson movie "Braveheart"), and goes on to explore the career of Robert the Bruce, arguably Scotland's most capable military leader ever. The text continues after Bruce's death, revealing how Scottish invasions of northern England were finally halted and peace negotiated at Berwick in 1357. (After that, English military efforts were concentrated against France, beginning the "Hundred Years War"). Illustrations show how the soldiers were armed and equipped during 60 years of medieval warfare. Computer-generated maps reveal how Wallace outwitted the English army at Stirling Bridge and how Bruce achieved his incredible victory at Bannockburn. Peter Winter's text vividly describes this dramatic era of Anglo-Scottish conflict.